Sentimental, sappy Christmas cards featuring the same outdated themes, motifs and images are better left on the Hallmark shelves. 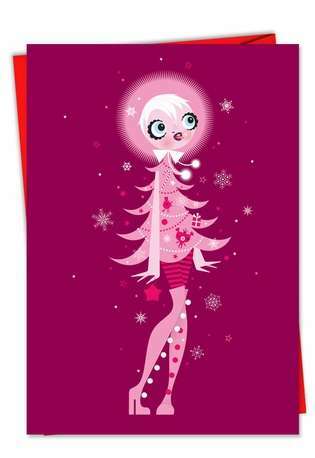 This chic, stylish and artistic holiday card is ideal for those who appreciate a more hip holiday. 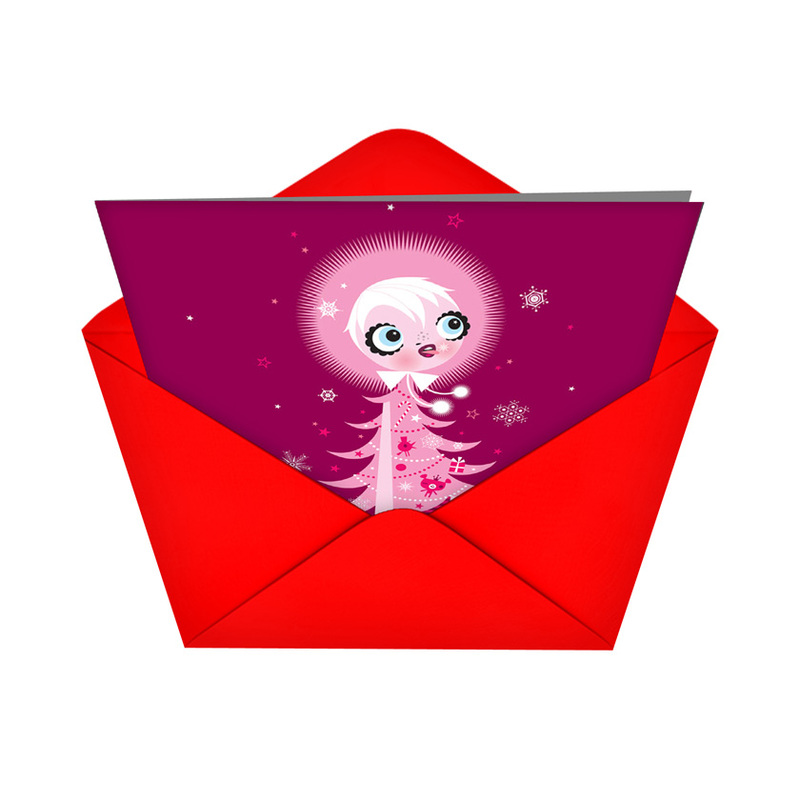 Illustrated by Kirsten Ulve, a frequent contributor to The New Yorker and Glamour, this card conceptually shows how we can get wrapped up in the holidays.